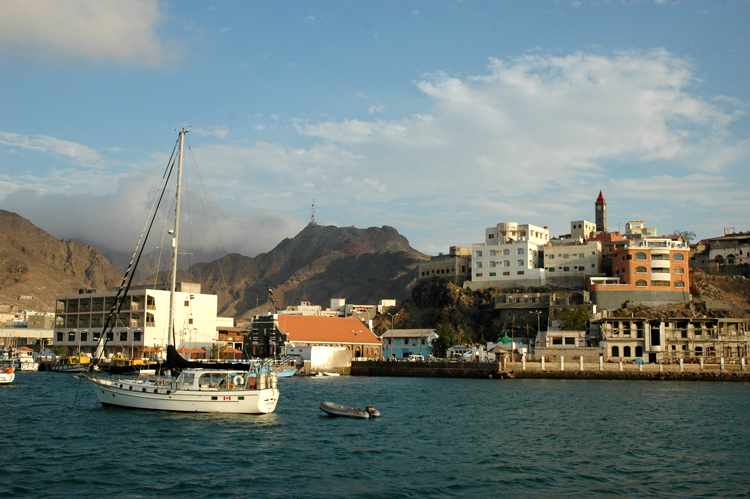 I never thought I would visit Yemen or sail into Aden harbor. I had digested all the bad press about Aden ever since the Navy ship, the Cole, was blown up after coming in for fuel. 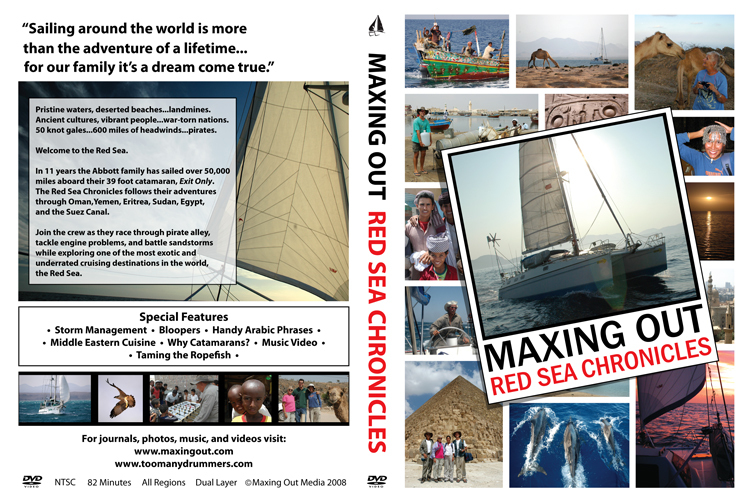 I didn't consider stopping at Yemen until we sailed up the Gulf of Oman toward the Red Sea. The cruising radio nets reported that there was a fuel shortage in Eritrea, and there would be no fuel in the Red Sea until we arrived in Sudan. We mulled over our fuel situation and concluded it would be unwise to cruise among the reef strewn remote islands of the western Red Sea without a full of load of fuel. We didn't know what lay ahead, and full fuel tanks give you a whole world of options. Holding our breath, and somewhat against our better judgment, we pointed our bows into Aden harbor. In my work as an eye surgeon in Saudi Arabia, I had treated many patients from Yemen. They are small stature gracious people who always do a good job of showing their hospitality. The odds were in our favor that our stay in Yemen would be pleasant and memorable. Since I spoke Arabic and was familiar with their culture, we probably would do fine. Aden turned out to be one of our most enjoyable stops. We ate middle eastern food to our hearts content and filled our jerry cans with fuel before setting off for the Bab Al Mandeb. 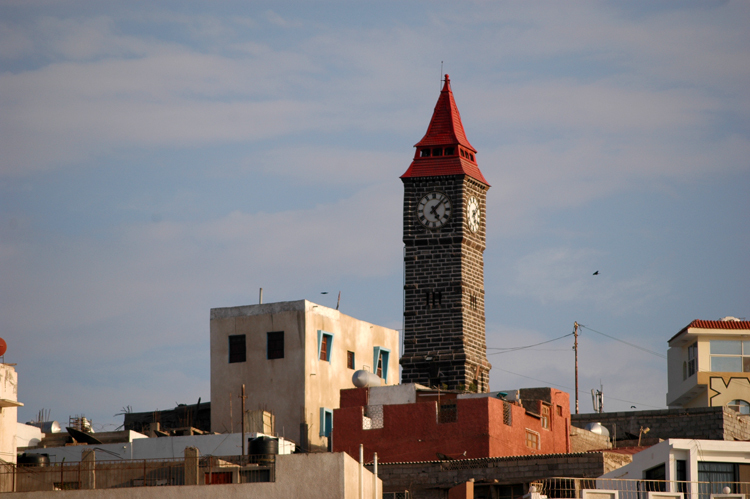 Aden was part of the British Commonwealth in the last century, and the clearest evidence of British influence is Aden's "Big Ben". The clock tower looks more like "Little Ben" to me. 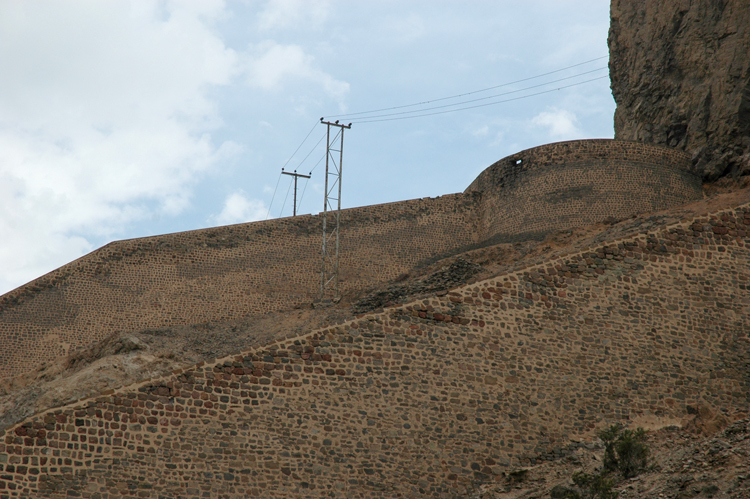 Ancient fortifications line the hillsides of Aden. 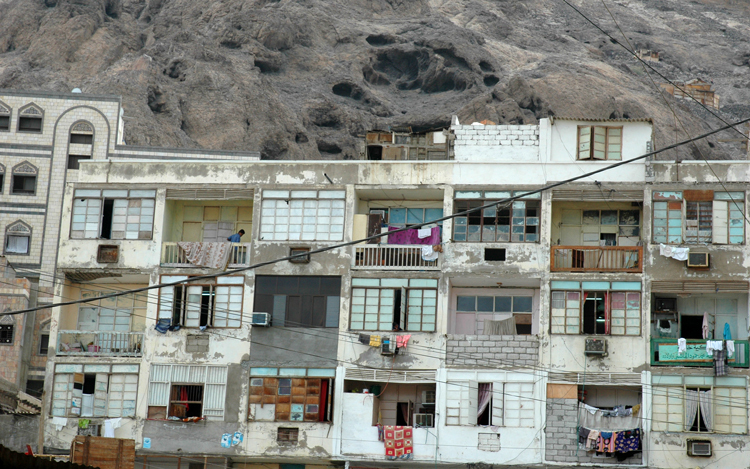 Although modern warfare renders these walls obsolete, hundreds of years ago the walls kept the residents of Aden safe. Yemenis love to chew ghat. 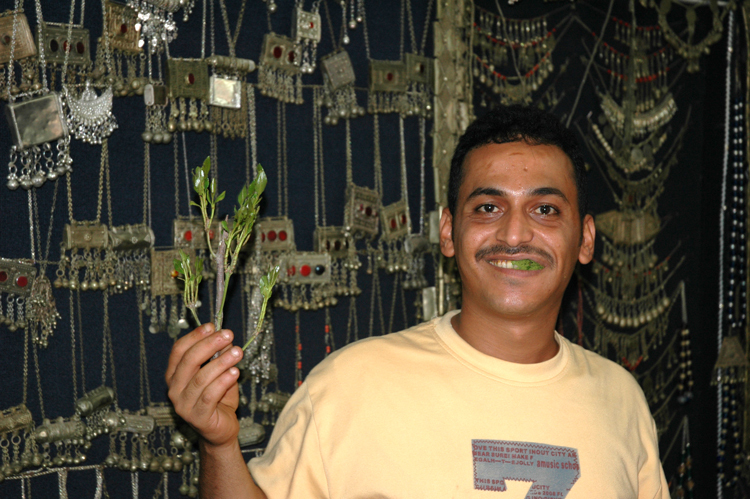 Every afternoon, you will find men in the market place with a wad of leave from the ghat plant in their mouth. It has a numbing effect on the mouth, lips, and tongue, and I am told there is a pleasant mild euphoria associate with this traditional practice. You simply pick the ghat leaves off the plant and pop them directly into your mouth. This is the favorite shop of the ladies on board Exit Only. 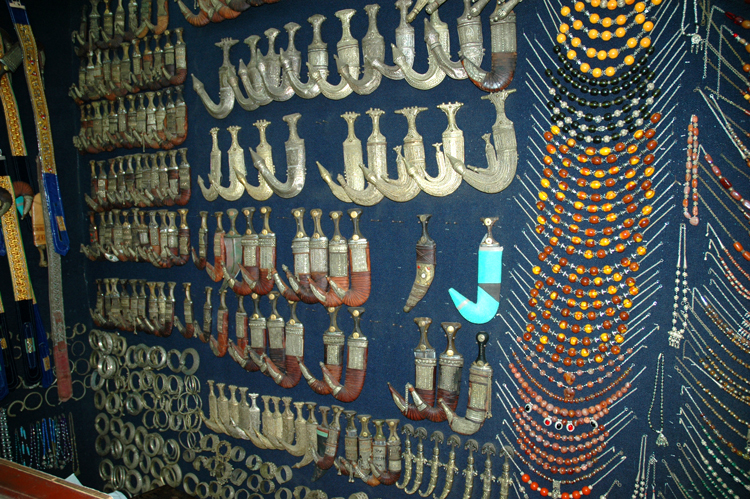 Ancient Bedouin jewelry and Yemeni knives are great souvenirs of a memorable trip to Yemen. Do you need a place to sleep? How about a new bed? 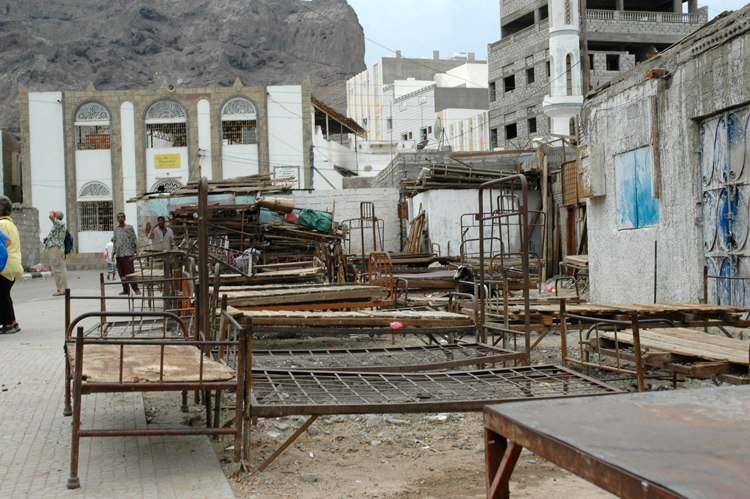 Make a quick stop at the bed souk, and in no time you will be making zzzzzs. 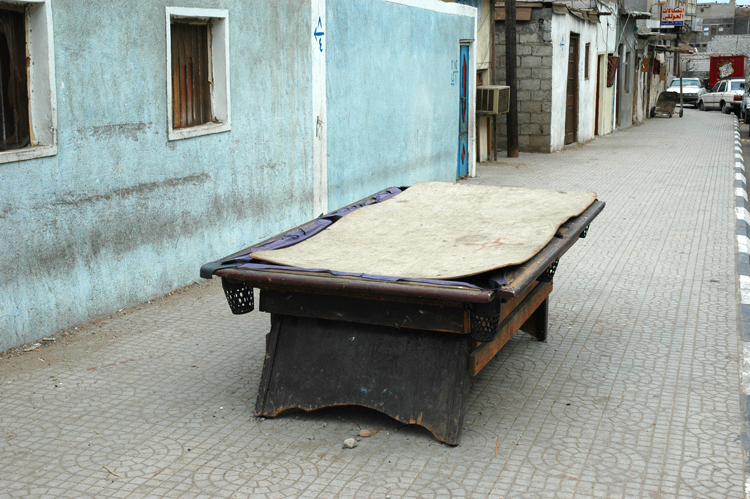 Want to play some billiards? Simple. Just stroll downtown in the afternoon and rent a pool table with all the fixings. The town of crater is built inside an extinct volcano. Apartments back up to the steep walls of the crater, and in ancient times, the Yemenis used stone and wood to make caves a part of their dwellings. Just above the roof of the building in the center of the picture, you can see structures build into the volcanic caves. When you stand back and survey the landscape, it becomes obvious that the town of Crater is built in the caldera of an extinct volcano. If the volcano ever comes to life, this town will be history. Every where you go in the world, people always want a better life. 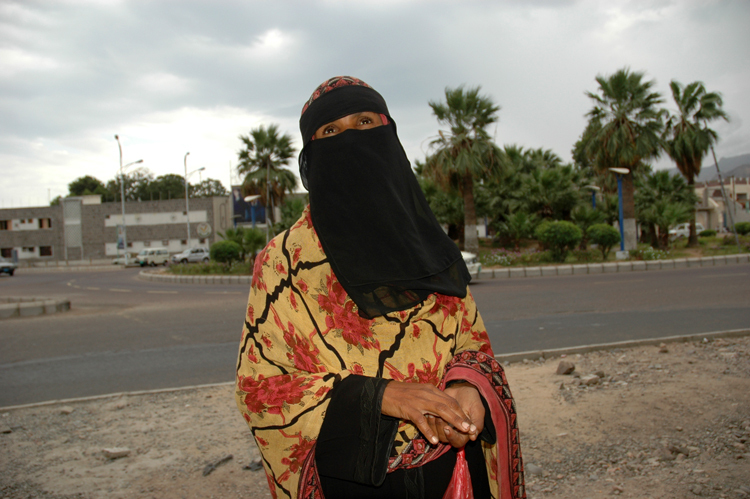 They want to live with dignity and without fear, and that's why you find Somali refugees in Aden. This Somali lady risked her life in a boat with people smugglers to be able to start a new life in Yemen. 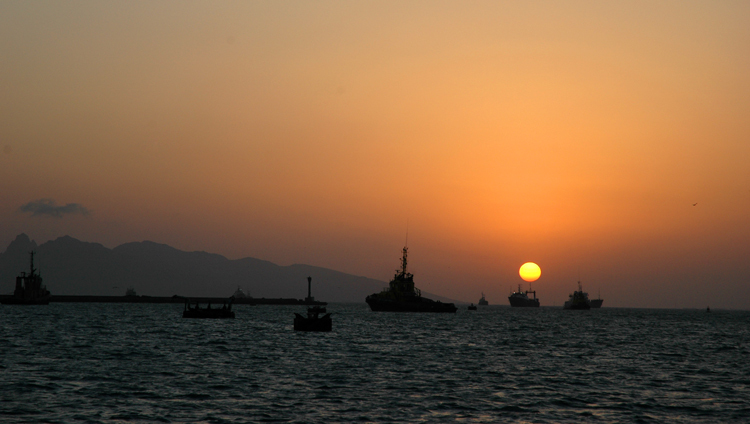 Aden harbor lights up with an orange glow at sunset. 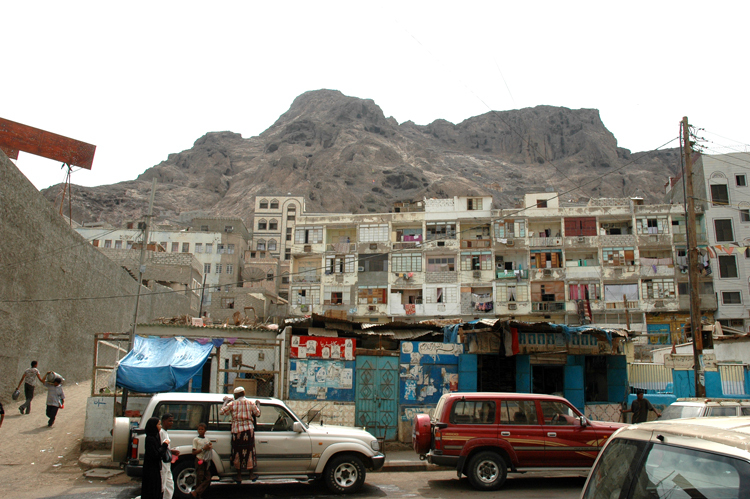 We enjoyed our visit to Yemen, but restricted our exploration to Aden and surrounding towns. Security can be an issue in this country, and we didn't want to take the risk of inland travel. Our memories of Yemen are extremely positive, and we never felt at risk anywhere we went. Yemen is high on my list of countries that I would like to visit in depth when things settle down in that region of the world.